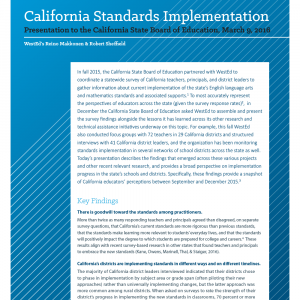 As the Director for California Initiatives at the Center for the Future of Teaching & Learning at WestEd, Robert Sheffield focuses on strengthening implementation of the new content standards in California. 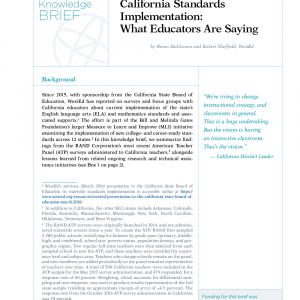 Sheffield works closely with California teachers and teacher advocacy groups to gather feedback and insights into their implementation of content standards in the state. 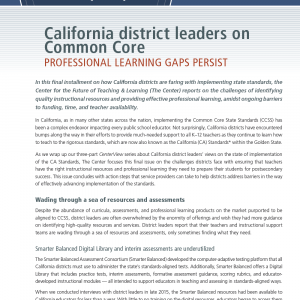 His work also involves communicating the Center’s findings to California technical assistance providers, county offices of education staff, and state policy leaders so the information can guide enhancements in support of teachers. 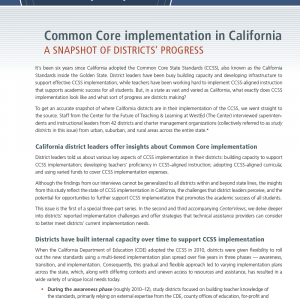 Previously, Sheffield served as Executive Director for District Implementation at the College Board. 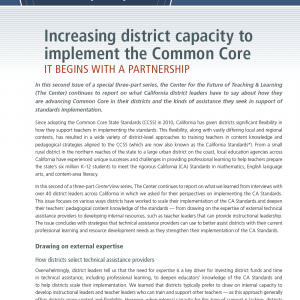 During his tenure, he led efforts to grow the reach and effectiveness of the SpringBoard program through school and district leader professional learning and coaching. Sheffield also led advisory councils and focus groups to ensure that teacher voice was reflected within the program’s design and delivery. Prior to working at the College Board, Sheffield served as a district administrator, high school teacher, and athletic coach. Sheffield received a BS in educational studies and U.S. history from Vanderbilt University and an MS in curriculum, instruction, and technology from Nova Southeastern University.